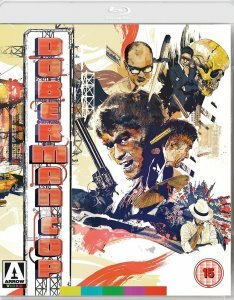 Description: Released just as the popularity of yakuza movies was waning in Japan, and as the country's film industry was undergoing some fundamental shifts, Doberman Cop is a unique entry in the career of director Kinji Fukasaku (Battles Without Honor and Humanity, Cops vs Thugs), and reunited him with star Shinichi ''Sonny'' Chiba (The Street Fighter, Wolf Guy) in an American-style crime movie that mixes gunplay and pulp fiction with martial arts and lowbrow comedy to create one of their most entertaining films. 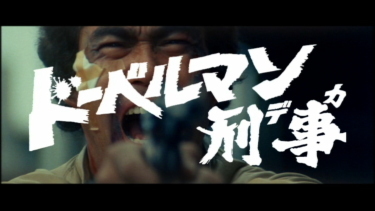 Based on a popular manga by ''Buronson'' (creator of Fist of the North Star), Doberman Cop follows the fish-out-of-water adventures of Joji Kano (Chiba), a tough-as-nails police officer from Okinawa who arrives in Tokyo's Kabuki-cho nightlife district to investigate the savage murder and mutilation of an island girl who had been working as a prostitute. Initially dismissed as a country bumpkin (complete with straw hat and live pig in tow! 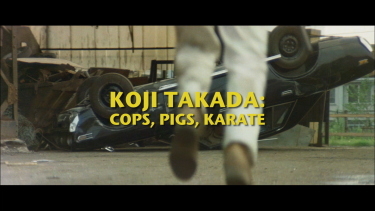 ), Kano soon proves himself a more savvy detective than the local cops, and a tougher customer than anyone expected. 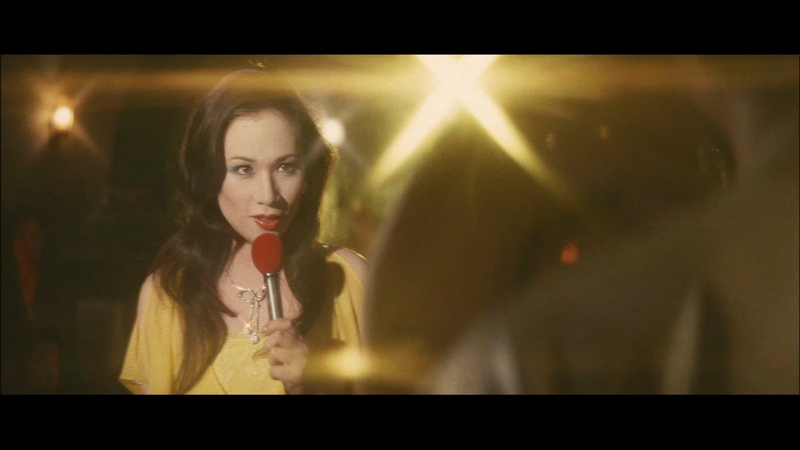 As he probes deeper into the sleazy world of flesh-peddling, talent agency corruption and mob influence, Kano uncovers the shocking truth about the girl, her connection to a yakuza-turned-music manager (Hiroki Matsukata), and a savage serial killer who is burning women alive. 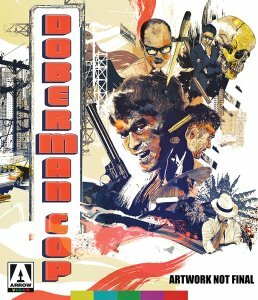 Made to appeal both to the youth market with its biker gangs and popular music, as well as to old-time yakuza movie fans, Doberman Cop is an surprising oddity in Fukasaku's career, his sole film adapted directly from a manga and never before released on video outside of Japan. 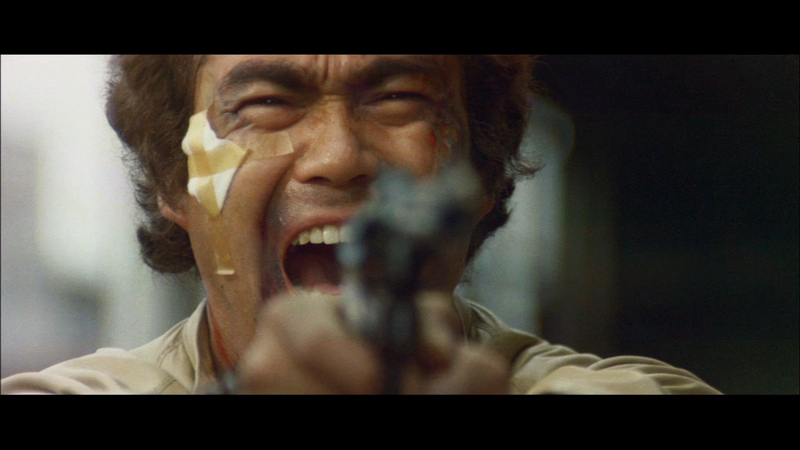 Featuring Chiba at his charismatic best channeling a Japanese Dirty Harry while doing all his own stunts and Fukasaku at his most fun, deftly showcasing the combined talents of his ''Piranha Army'' stock company of actors and other regular players Doberman Cop is a classic action comedy and a missing link in 1970's Japanese cinema deserving of rediscovery. The protagonist is Joji Kano, a detective employed by the Tokyo Metropolitan Police Department's special crimes division, which handles serious criminal cases. 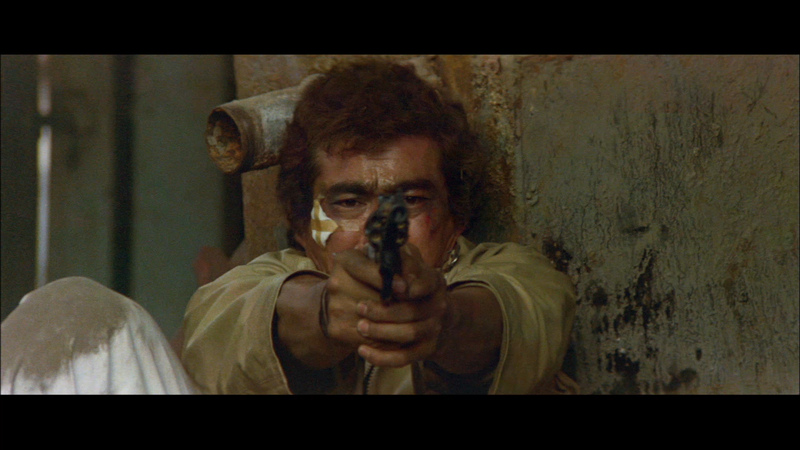 His gun of choice is a customized .44 Magnum-caliber Ruger Blackhawk. Kano's harsh method are the subject to criticism by the media, but he doesn't mind the reputation at all. While Kano has no pity for serious criminals, he holds a respect for children and elderly people, as well as former criminals who want to reform themselves for their prior misconducts. Chiba's use of the .44 Magnum is skillful & interesting, but the film breathes more life when he is showing his stuff with karate, not bullets. 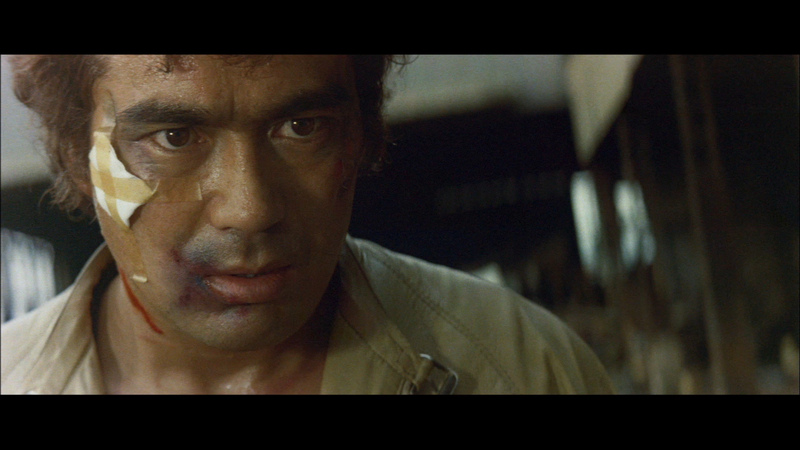 He is an admitted "crazy" cop from Okinawa who arrives in Tokyo intent on finding a missing girl from his hometown. The police believe she is dead. 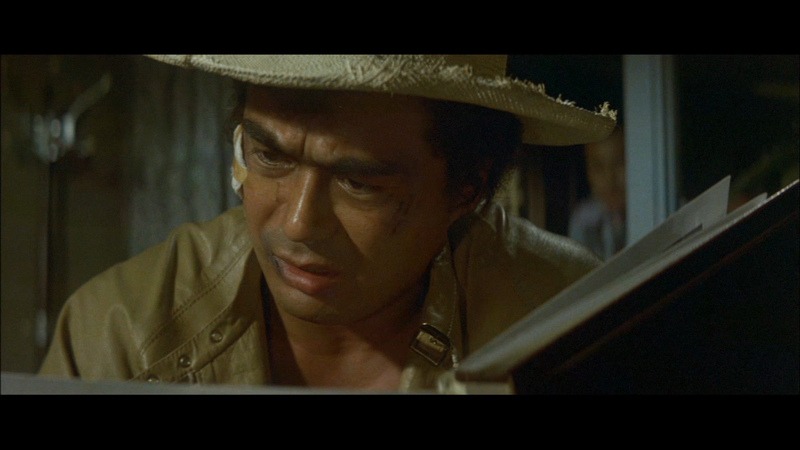 Chiba knows better, because the girl's mother, a seer, said so. 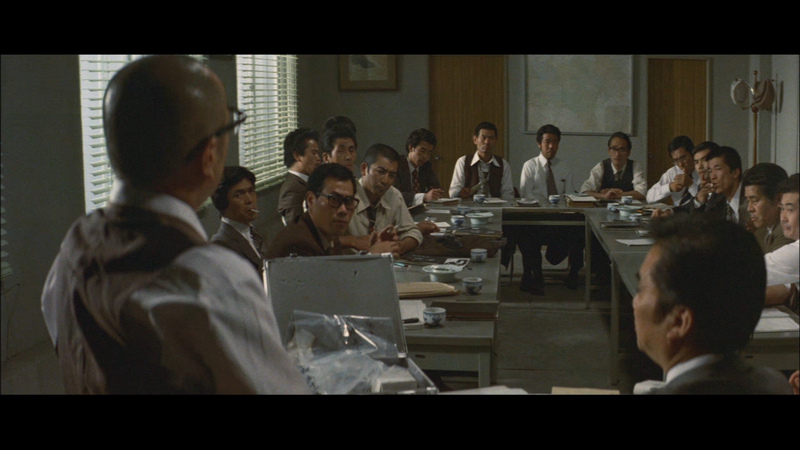 The ultra-modern Tokyo police department is not interested in the evidence of a superstitious country bumpkin. 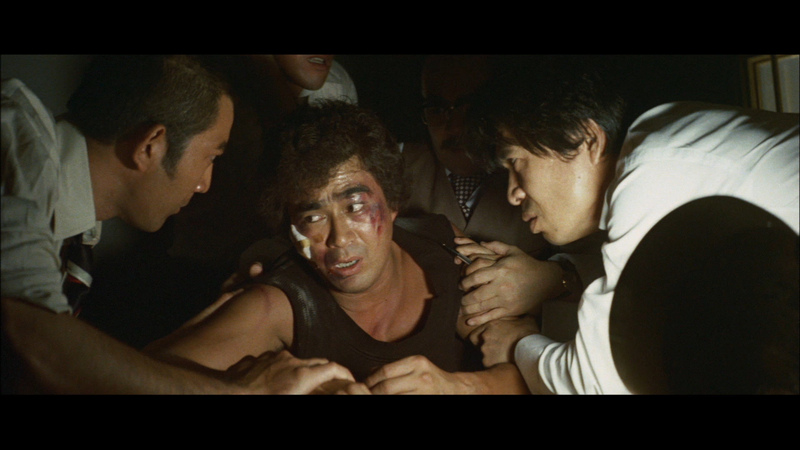 By means of magic shells, which always say the girl is living, Chiba fails to prove more than his own lunacy to the Tokyo police, who refuse to help him. Detective Doberman Chiba alone unravels a trail of intrigue and murder. 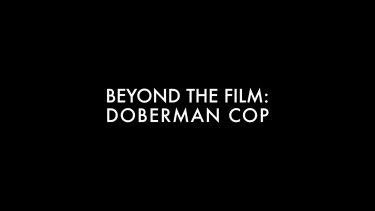 Doberman Cop gets a transfer to Blu-ray from Arrow Video. 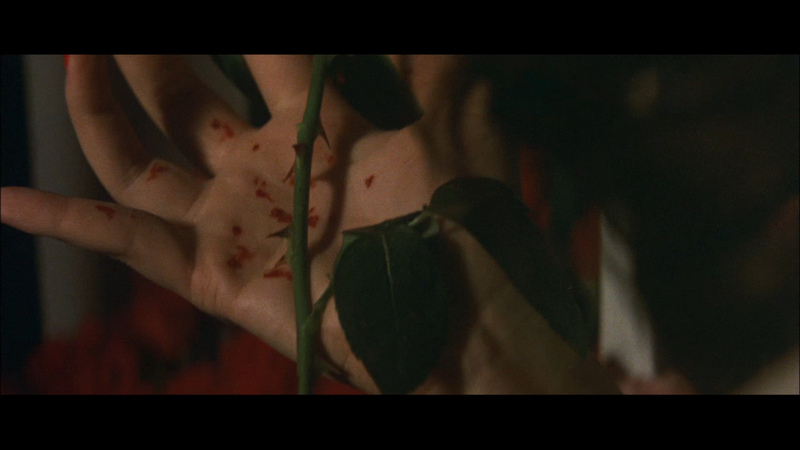 It is dual-layered with a high bitrate in the 2.35:1 aspect ratio. 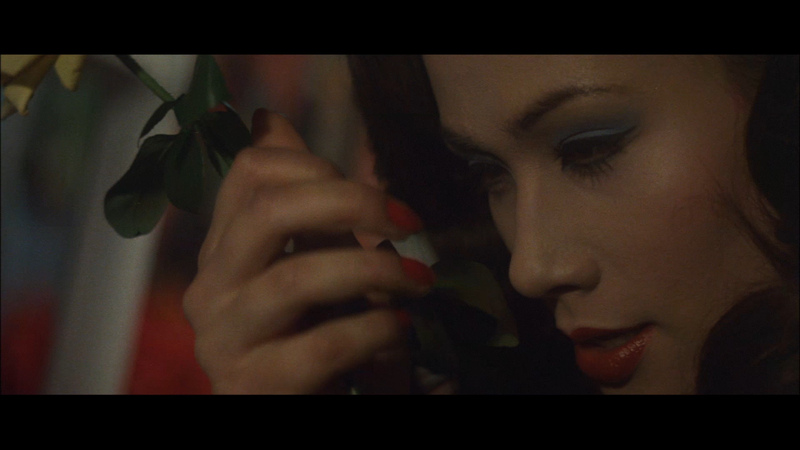 Like other, older, Japanese films, we see a green cast over the visuals. 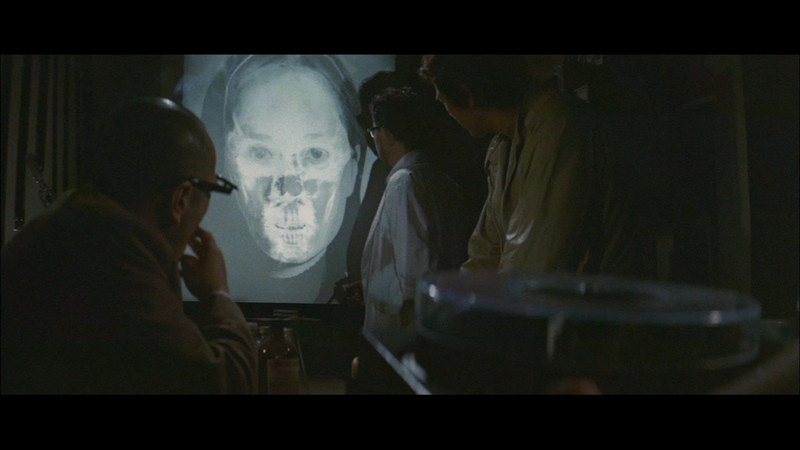 It's hard to know whether this is the way it was shown theatrically. Also, this is typically, a very heavy image - softish, thick, relatively flat with no gloss, crispness or depth. There are some very dark scenes but I see no noise. The image quality is consistent throughout and it is very clean without speckles or damage marks. This Blu-ray video is far from demo, but doesn't effect the enjoyment of the film and is likely the best transfer the film will ever receive. Arrow use a linear PCM 2.0 channel (16-bit) in the original Japanese. 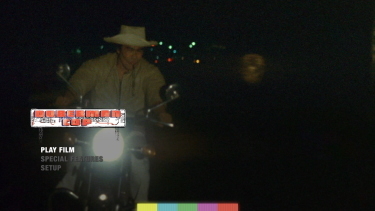 Effects punctuate as you might anticipate with heavy depth. There is a lively score by Kenjiro Hirose (Lady Snowblood 2: Love Song of Vengeance) and it sounds supportive in the lossless. 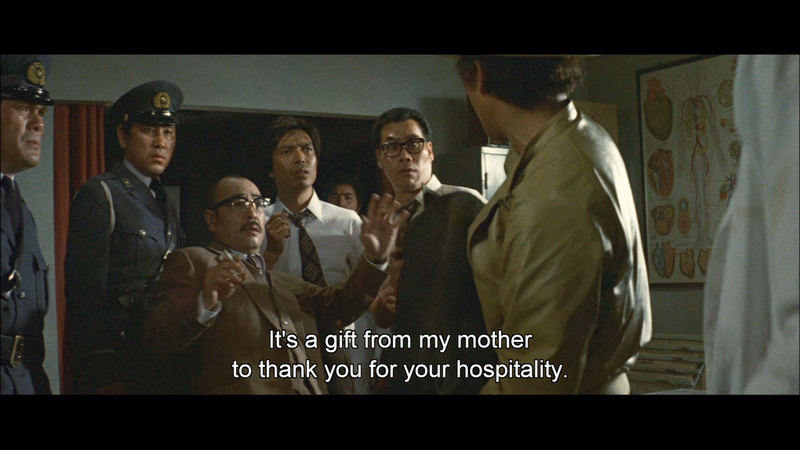 There are optional English subtitles and my Oppo has identified it as being a region FREE playable world-wide. Arrow add some good supplements. 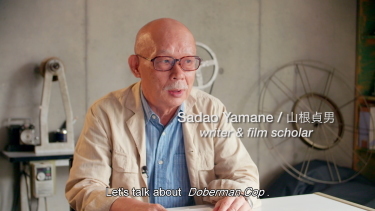 Beyond the Film: Doberman Cop, is a new, 9-minute, video appreciation by Fukasaku biographer Sadao Yamane, recorded, by Arrow, in September 2016. 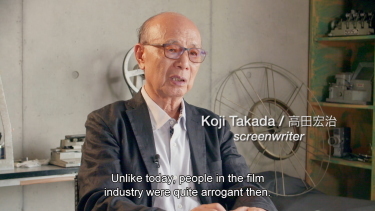 It provides a good introduction and short analysis of the film. 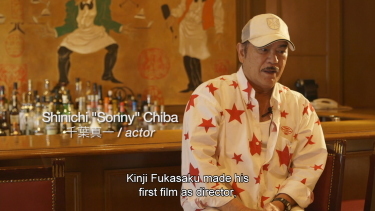 There are also new video interviews with screenwriter Koji Takada and actor Shinichi ''Sonny'' Chiba - which is actually a second part of Sonny Chiba: A Life in Action piece (the first part found on Arrows' Wolf Guy Blu-ray.) Both run about 17-minutes each. Extras finished with a trailer and the package has a reversible sleeve featuring original and newly commissioned artwork by Chris Malbon. The first pressing only received an illustrated collector s book featuring new writing on the films by Patrick Macia. 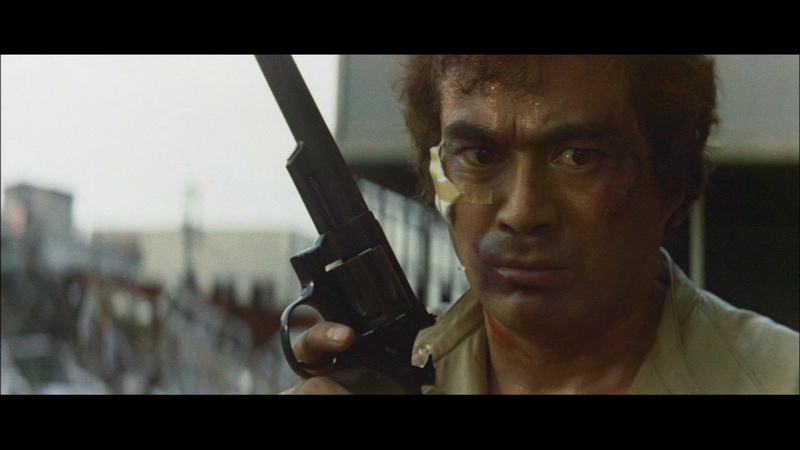 Doberman Cop has elements of Dirty Harry, TV's McCloud, and the samurai code. 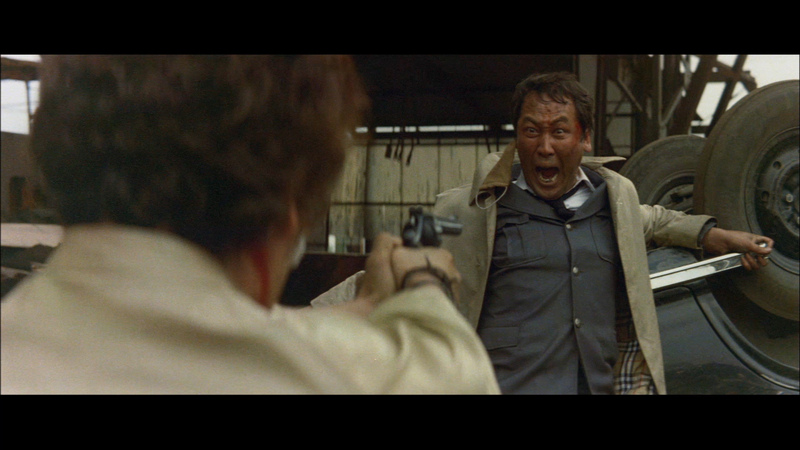 But basically, it is just a very entertaining cop-investigation-crime-thriller flic. 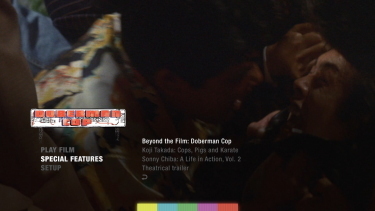 The Arrow Video Blu-ray provides access to the film in a 1080P video and uncompressed audio - with very appreciated supplements. I liked it quite a lot and it will be something I revisit over time. Fans of the genre, star or director are encouraged to indulge. Good value here.